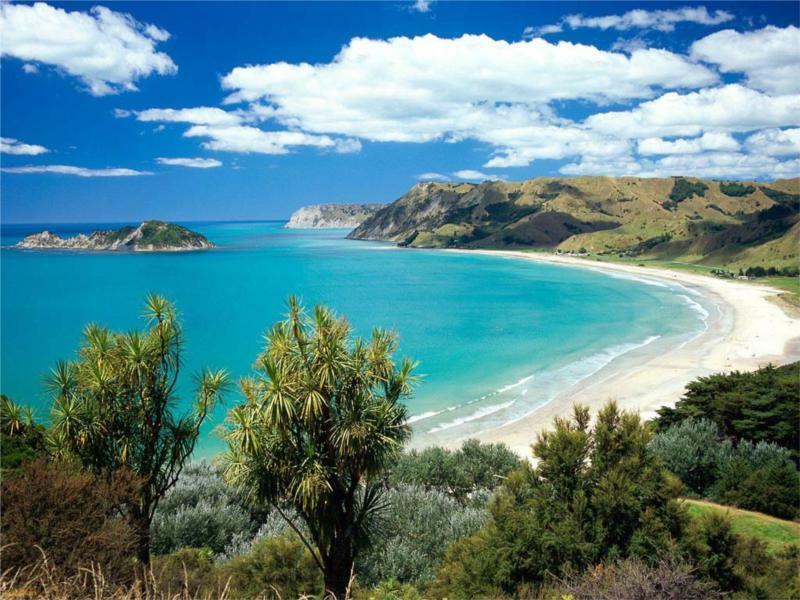 On the northeastern tip of New Zealand's North Island reaching out into the Pacific Ocean, Eastland (or East Cape) holds a significant place in the history of the country and has developed into an excellent holiday destination. The region is sparsely populated with many small settlements. The simple things in life are still very much enjoyed by Eastlanders with the land much revered. 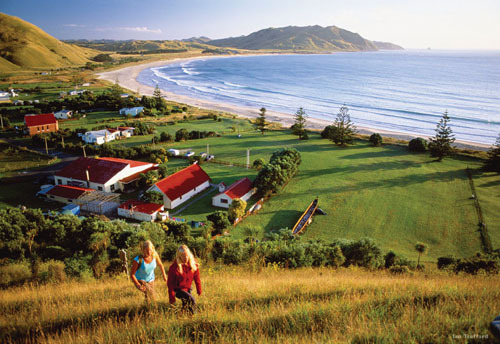 Rich with local Māori culture in addition to wild landscapes, surf beaches and quaint towns, Eastland has something for everyone. Few regions have proven to be as pivotal in New Zealand's history as Eastland. The country's native people, the Māori, first landed in Eastland from Polynesia. The famous Captain Cook also used what would become Eastland as his first landing point in 1769, and it was here that he first encountered the native Māori. 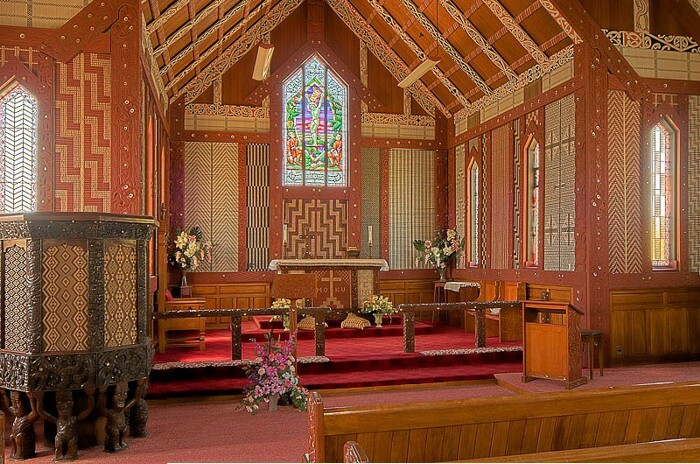 Evidence of Māori culture is sprinkled throughout the towns and villages in the laid-back Eastland. Wood carvings on buildings and brightly-coloured paintings stand out on local buildings. 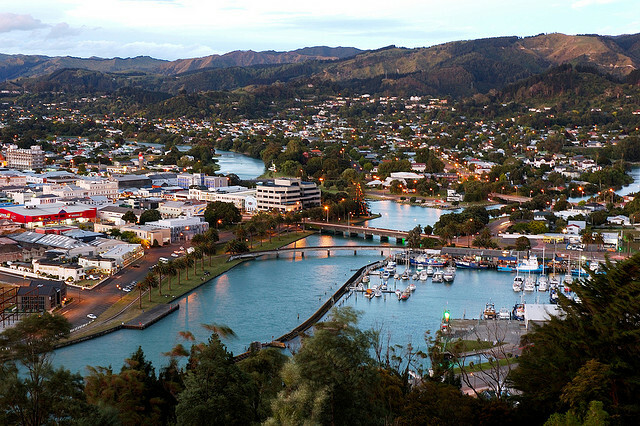 Gisborne is the largest city in the area and is also considered to be the first city in the world to greet the sun every day. It is a large town with a small town feel. 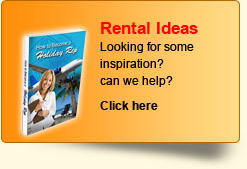 A beautiful sense of community permeates visitors who often feel they never want to leave. The sublime mix of wondrous scenery, pristine beaches, great food and fabulous wines are the perfect advert for life New Zealand style. Kissed by the sun, Gisborne offers a rustic charm yet delivers to all modern expectations, fine dining and award winning wineries, museums and art galleries. Eastland is well-known for its excellent Chardonnays. Visitors can visit many of the most notable wineries in the area, tour their facilities and sample their selection. The region also boasts high quality, fresh seafood. 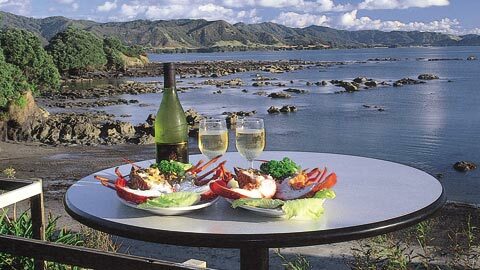 Gisborne in particular has many excellent seafood and fine dining restaurants. Tourists can choose to dine at one of these establishments, or fish for their own supper with the locals. Snapper, kingfish and crayfish can all be found in abundance off the shores of Eastland. Eastland's scenery is largely untouched by humans and still maintains a divine sense of wilderness. Enjoy a drive on the Pacific Coast Highway, or take a slower route. Walking and horseback riding or probably the two most common forms of transport in the area, and it also allows visitors more time to take in the scenery. 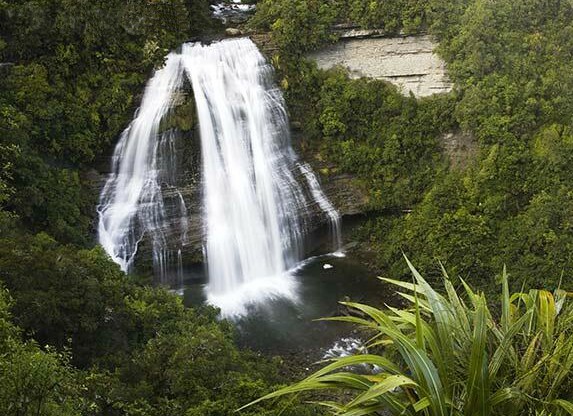 Home to the Te Urewera Ranges, Eastland offers unparalleled hiking for both casual day-hikers and seasoned trekkers. The native home of the Tuhoe Tribe, guided tours through the untamed forest can clue visitors in on how the native people survived in such a rugged environment. Eastland includes some of the most stunning surfing beaches in the world, and visitors can either bring their own equipment, or rent it locally. Unlike many holiday destinations, Eastland's beaches remain largely uninhabited and mostly empty. For those hoping to get in the water, there are a number of tour companies which take tourists out to explore the waters off the coast of Eastland. Snorkelling, diving and fishing are all common activities in the area. Off the beaten track Rere rockslide is a 60 metre smooth, natural water-slide. At 500 kilometres distant, Auckland is quite a drive from Gisborne. 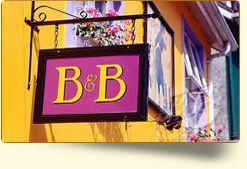 However, there are a few bus companies which regularly make the trek between to the two cities. In addition, the local Gisborne airport receives flights from Auckland, Wellington and Christchurch.